Entry fee includes: Event Admission, Timed Race Entry, Finisher Medal, Finisher T-shirt, Rockin After Party, Free Photography, and Mud in your pants! 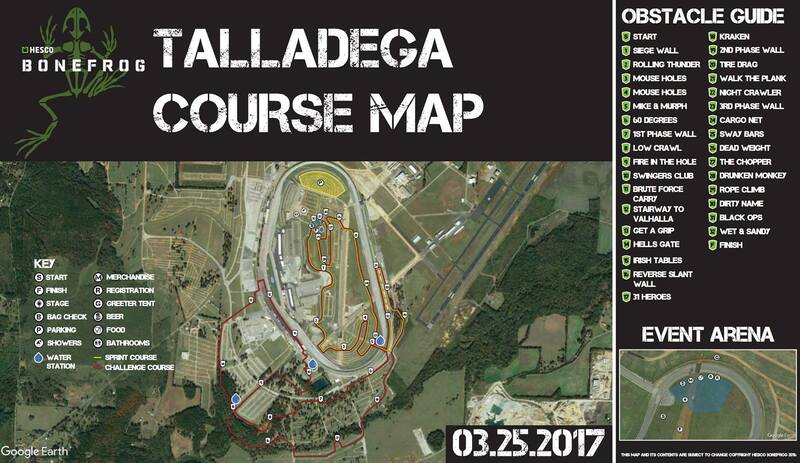 Endurance Event: Special wristband is your pass to multiple laps, earn the BONEFROG Endurance medal and earn additional frog pins for each lap through the Sprint course. Each Sprint lap earns you 1x Green frog pin, completing your fifth Spring lap earns you the coveted Gold frog pin, if you complete a 10th lap you are awarded a second Gold frog pin. Will you be the FIRST double Gold frog recipient?